How Does it Differ From Other Minimally Invasive Surgical Approaches in the Head and Neck? Transoral laser microsurgery is also considered a minimally invasive approach with similar indications. It differs in that the field of surgeon view is more restrictive because it is performed through a laryngoscope and at a greater distance from the target site. Since the surgical view is a line of sight only through a narrow opening, the technique requires cutting through the tumor in pieces to accomplish removal. Orientation of the parts thereby becomes more challenging. As a consequence of this, the learning curve for this technique is very steep. What are the Advantages and Disadvantages of the TORS Approach? Who are Candidates for This Approach? Candidates for TORS generally include early tumors (T1 or T2) of the oropharynx (base of tongue and tonsil) and laryngopharynx (supraglottis and pharyngeal wall). Who are Not Candidates for TORS? Presence of medical conditions contraindicating general anesthesia or transoral surgical approaches. Inability to adequately visualize anatomy to perform the diagnostic or therapeutic surgical procedure transorally. Unresectability of involved neck nodes. Anticipated tongue base involvement requiring removal of more than 50%. Anticipated pharyngeal wall involvement requiring removal of more than 50%. Presence of trismus (inability to open jaw easily). Fixation of a tumor to prevertebral fascia (layer in front of the spine). How Does TORS Compare Against Primary Radiation or Combined Chemoradiation in Terms of Functional Outcomes? If a statistically significant risk to the neck for the spread of tumor exists, or if clinically evident neck nodal disease is present, neck dissection is usually performed 1 to 3 weeks after the TORS procedure. Based on the margin status of the primary tumor and nodal status of the neck, radiation alone or combined chemoradiation may be indicated. If radiation is used, it is typically given in a lower dose as an adjuvant treatment than it otherwise would have been given for primary treatment. Since does is related to tissue injury and complication rates (acute and chronic), this is an advantage to the patient. Since chemotherapy intensifies the toxicity of radiation therapy, side effects are greater than radiation alone. It has been shown that 19-30% of patients treated in this way still retain a gastrostomy tube at the end of 1 year, due to swallowing dysfunction. With a TORS neck dissection approach, about 70% of patients can be spared chemotherapy and approximately 30% can avoid radiation treatment based on histologic findings. Who Can I Contact For More Information on TORS or Make an Appointment to Discuss Possible Treatment? Information can be discussed by phone or by patient appointment with Dr. Richard Arden. Office location and phone numbers are posted on this website. Only da Vinci® overcomes the limitations of both traditional open surgery and conventional minimally invasive surgery. The da Vinci® System is a sophisticated robotic platform designed to expand the surgeon’s capabilities – and for the first time – offer a minimally invasive option for major surgery. 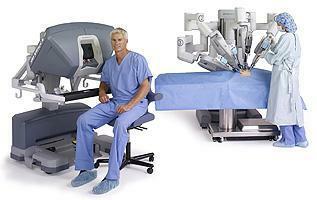 With da Vinci,® small incisions are used to introduce miniaturized wristed instruments and a high-definition 3D camera. Seated comfortably at the da Vinci® console, your surgeon views a magnified, high-resolution 3D image of the surgical site. At the same time, state-of-the-art robotic and computer technologies scale, filter and seamlessly translate your surgeon’s hand movements into precise micro-movements of the da Vinci® instruments. The System cannot be programmed, nor can it make decisions on its own. Rather, the da Vinci® System requires that every surgical maneuver is performed with direct input from your surgeon. 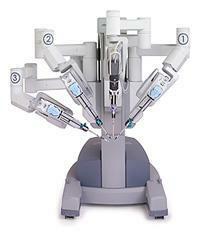 To learn more about the da Vinci Surgical System, read about da Vinci® Features.